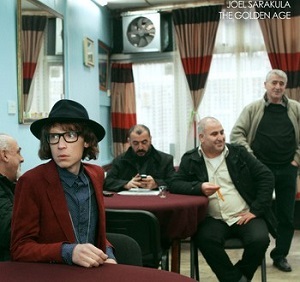 Australian singer Joel Sarakula now lives in London. His music is retro-pop played on the guitar and piano. 'Old yellow photographs' has quite a strong 60's vibe, but the vocals sound more indie rock. 'The lows' is keyboard based rather than guitar, and is a great track - one of my favourites on the album. 'Bohemian' is another great track. This time it's guitar based and is a light cheerful, quirky sounding song, and is one that should do well with radio airplay. There's a lot of variety in this album, partly down to the fact that some tracks are keyboard based while others are guitar based, and that variety is what keeps it interesting. An interestingly diverse album thats well worth a listen.